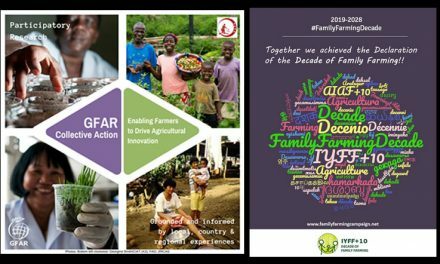 The Asia Pacific Association of Agricultural Research Institution- APAARI, invites you to participate in a Webinar on Capacity Development for Agricultural Innovation jointly organized by the Tropical Agricultural Platform -TAP, the United Nations Food and Agricultural Organization- FAO and the Asia Pacific Association of Agricultural Research Institution -APAARI. The webinar targets University Managers, leaders and post graduate students in the Asia Pacific region. It will be held on Wednesday 30 November 2018 from 16:30 -18:00 Bangkok time (GMT +7). Resource persons are technocrats and hands on specialists on capacity development and agri-food research and innovation. The Webinar will bring together resource persons and the academic community focusing on agri-food research and innovation in the Asia-Pacific region, in the dialogue on capacity development. It aims to raise awareness on the importance of developing functional capacities to unlock the potential for agricultural innovation and the role of higher education in developing the respective capacities. It will also raise awareness among professionals in higher education on the Common Framework on Capacity Development for Agricultural Innovation Systems (CD for AIS) developed by TAP and partners, its principles and tools, including functional capacities for AIS – individual, organizational and enabling environment. To participate, please register here by 29 November 2018. An access link will be shared with the registered participants the day before the webinar. 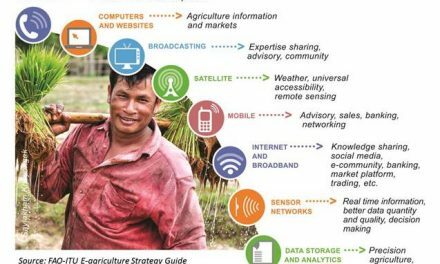 The E-agriculture Strategy competing for a prestigious international prize – Please vote to help the strategy win!